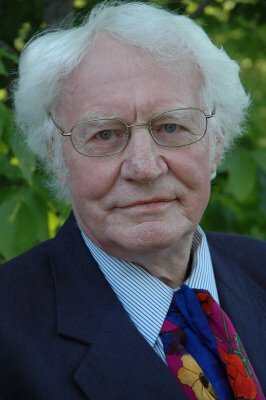 Preface: Last year when Eavan Boland substituted for Robert Pinsky while he was away, she announced to the class that Robert Bly has accepted the invitation to be the 2008 Mohr Poet. I was so excited that Bly is coming to Stanford, as I've attended several of his poetry retreats and workshops many years ago in Asilomar and San Francisco. I also attended the "800th Birthday Celebration of Rumi with Robert Bly" last January 27, 2007 at Stanford. I love Bly's focus on spiritual matters, and was inspired by his frequent citations of Rilke, Neruda, Machado, Rumi, Hafiz, Kabir, and Mirabai. Fifteen students showed up in Bly's first workshop. Bly asked everyone to introduce themselves, and wrote in his journal about our background in poetry, instructors we've had, our favorite poets, and even details on our parents. Bly told the class that he makes a living giving poetry readings. He rarely does classroom teaching. Bly told us that Eavan Boland invited him to Stanford so he'll enjoy the warm spring weather in California than the cold of Minnesota. So he accepted. Bly told the class: "I haven't a clue what to do, so you may find me to be a jerk." But as soon as Bly spoke about poetry, you know the words are coming from a master poet. He wants us to learn from the great poets of Europe like Rumi and Rilke as well as modern poets like Mary Oliver. In the first class, Bly read haikus of Basho and Issa, saying that haikus always cut down our ego so we could see the grandiose of the universe. I'm listing the poets Bly read to us as well as the 10-20 minutes writing exercises he conducts in the class. I'm happy in learning to write prose poems, ramage, and ghazals, and having a most productive semester with Robert Bly. Hafiz & Kabir: Ecstatic Poems Friend Wake Up! Bly: "Friendships between Sounds" & "Soul Weight" What Is The Address?